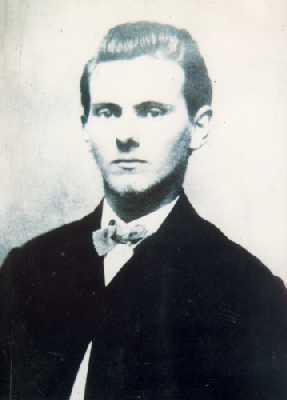 The infamous Jesse James was born on September 5, 1847. At seventeen, James left his native Missouri to fight as a Confederate guerilla in the Civil War. After the war, he returned to his home state and led one of history's most notorious outlaw gangs. 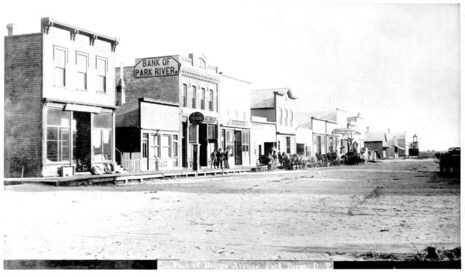 With his older brother Frank and several other ex-Confederates, including Cole Younger and his brothers, the James gang robbed their way across the Western frontier targeting banks, trains, stagecoaches, and stores from Iowa to Texas. Eluding even the Pinkerton National Detective Agency, the gang escaped with thousands of dollars. Despite their criminal and, often, violent acts, James and his partners were much adored. Journalists, eager to entertain Easterners with tales of the Wild West, exaggerated and romanticized the gang's heists, often casting James as a contemporary Robin Hood. While James did harass railroad executives who unjustly seized private land for the railways, modern biographers note that he did so for personal gain—his humanitarian acts were more fiction than fact. Jesse James' outlaw days ended abruptly in 1882 when fellow gang member Robert Ford fired a bullet into the back of his head. Ford hoped to claim the $10,000 offered for James' capture but received only a fraction of the reward. He did, however, secure himself a place in Western outlaw lore that lives on in literature, song, and film. Jesse Woodson James (September 5, 1847 – April 3, 1882) was an American outlaw from the state of Missouri and the most famous member of the James-Younger Gang. Already a celebrity when he was alive, he became a legendary figure of the Wild West after his death. A recent scholar placed him in the context of regional insurgencies of ex-Confederates following the American Civil War rather than a manifestation of frontier lawlessness or economic justice. The James brothers, Frank and Jesse, were Confederate guerrillas during the Civil War, during which they were accused of participating in atrocities committed against Union soldiers. After the war, as members of one gang or another, they robbed banks and murdered bank employees or bystanders. They also waylaid stagecoaches and trains. Although James has often been portrayed, even prior to his death, as a kind of Robin Hood, robbing from the rich and giving to the poor, this is incorrect. His robberies enriched only him and his gang.